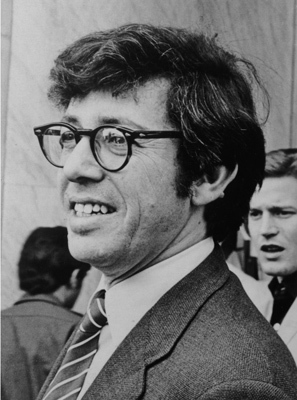 Born in 1925 into an upper middle-class family in Cincinnati, Ohio, Kenneth Koch started writing poems and comics as a very young child. 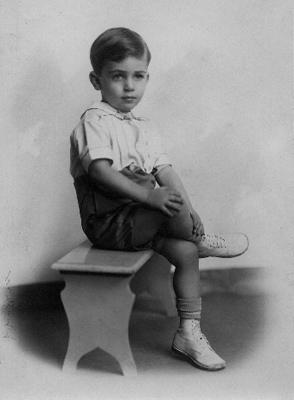 He was encouraged by his dramatic mother, Lilly, by his Uncle Leo (who worked with Kochs father, Stuart, in the familys office furniture business), and in high school by his English teacher, Katherine Lappa. With Americas entry into World War Two and the likelihood of Kochs being drafted as soon as he graduated from high school in 1943, he attended the University of Cincinnati for training in meteorology that spring in hopes of a safe job in the military. However, Private Koch eventually went to fight in the Pacific with the 96th Division Army Infantry. Despite losing his glasses, Koch fought from a foxhole in the battle of Leyte, but a case of hepatitis kept him from being deployed to Okinawa, where most of his division suffered very heavy casualties. (Koch would not write about his war experiences until 50 years later in New Addresses.) He came back to America in January, 1946, with his copies of View, the surrealist, avant-garde art and literary magazine, and two months later was enrolled at Harvard. Studying with Delmore Schwartz, the first real poet he had ever met, led Koch to the work of Yeats and a life-long admiration for Stevens. His fellow undergraduates at Harvard and Radcliffe included Robert Creeley, Donald Hall, Robert Bly, and Adrienne Rich, but, most importantly, John Ashbery, whom Koch met in the fall of 1947 in the office of the Harvard Advocate, the literary magazine edited at that time by Koch. Ashbery and Koch became fast friends. After graduating early from Harvard (spring, 1948) because of the additional credits from the University of Cincinnati and courses he had taken in the army at the Illinois Institute of Technology, Koch went to New York City to do graduate work at Columbia University (194950). He kept in touch with Ashbery, still at Harvard, who wrote to Koch about the work of another fellow undergraduate, Frank OHara: I think we have a new contender. OHara subsequently became a lifelong friend, and Ashbery and OHara followed Koch to New York, where he happily introduced them to two young painters, Jane Freilicher and Larry Rivers, who would also become lasting friends. In 1950 Koch went to Paris and Aix-en-Provence as a Fulbright fellow. While falling in love with the French language, he immersed himself in the poetry of Apollinaire, Jacob, Reverdy, Eluard, St. John Perse, Breton, Char, Ponge, and Michaux. Koch returned to New York and his friends, sharing a house with Rivers and Freilicher in East Hampton in the summer of 1953 before going off to the University of California at Berkeley for more graduate work. There he met Mary Janice Elwood, who eventually followed him to New York and married him in 1954. Koch was glad to be back in New York and at Columbia University, where he finished his M.A. thesis, and was ready to begin teaching (at Rutgers). In addition, during the early 1950s Koch underwent intensive Freudian psychoanalysis. During an extended stay in Europe, their daughter, Katherine, was born in Rome (1955). A return from New York to Florence in 1957 on Janices Fulbright inspired Kenneth to write his first epic narrative poem, Ko, or a Season Earth, which features a Japanese pitcher whose fastball has so much velocity it can knock down a grandstand. Written in ottava rima and iambic pentametera verse rhythm Koch had practiced by using it for his notes in a course at Harvard and later by learning to speak in itthis comic extravaganza was inspired by Byrons witty and digressive Don Juan and Ariostos Orlando Furioso. In the later 1950s Koch resumed teaching at Rutgers and Brooklyn College, while completing his Ph.D. at Columbia. In 1959 he joined the English and Comparative Literature department at Columbia, and in his 43 subsequent years there he proved to be an inspiring teacher known for his spontaneous wit, good taste, and infectious love of great literature and art, for which he received the Harbison Award for Distinguished Teaching (1970). Between Columbia and his influential poetry workshop program at the New School (195866), a surprising number of students went on to become well-known writers, including David Shapiro, Ron Padgett, David Lehman, Luc Sante, Bill Berkson, Joseph Ceravolo, Tony Towle, Peter Schjeldahl, Charles North, and Jordan Davis, as well as the filmmaker Jim Jarmusch. In addition to university teaching, Koch also worked with young children in the New York City schools, as well as with old people in a nursing home. 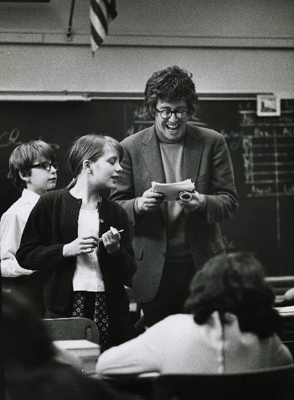 His work at P. S. 61 in 1968 led to an important collaboration with Teachers & Writers Collaborative and resulted in internationally recognized books about teaching poetry: Wishes, Lies and Dreams: Teaching Children to Write Poetry; Rose, Where Did You Get that Red? Teaching Great Poetry to Children; Sleeping on the Wing: An Anthology of Modern Poetry with Essays on Reading and Writing; I Never Told Anybody: Teaching Poetry Writing to Old People and Making Your Own Days: The Pleasures of Reading and Writing Poetry. Koch was a natural collaborator. As the editor of the groundbreaking Collaborations issue of Locus Solus magazine, he awakend contemporary readers to the history of literary collaboration. 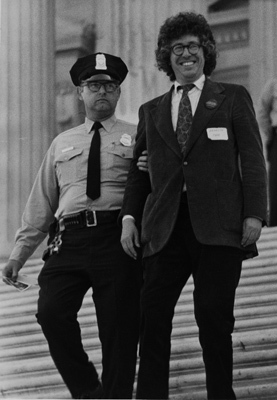 His own prodigous skills were displayed in an evening of improvisational collaborations he did with Allen Ginsberg, which were then published in a book entitled Making It Up. Koch, Ashbery, OHara, and James Schuylerthe nucleus of the so-called New York Schoolcollaborated not only with each other, they also collaborated with many other artists and composers. The poets friendships with paintersWillem deKooning, Jackson Pollock, Franz Kline, Helen Frankenthaler, David Smith, Larry Rivers, Jane Freilicher, Fairfield Porter, Mark Rothko, Alex Katz, Red Grooms, Nell Blaine, Alfred Leslie, Joe Brainard, Roy Lichtenstein and Jim Dine, among othersare legendary: house-sharing during summers in the Hamptons, evenings at New Yorks Cedar Tavern or The Five Spot, and loft parties. Kochs collaborations with many of these visual artists feature his writing on the canvas as the artist painted, both people changing the images and the words together. Koch had gallery shows of his collaborations at Tibor de Nagy Gallery (New York), Guild Hall (East Hampton, N. Y.) and in Ipswich, England. These shows featured some of the more than 25 artists books Koch did with French artist Bertrand Dorny, a series of maps with Red Grooms, and a jump-up book with Larry Rivers. Kochs plays also provided occasions for collaborations with artists. Alex Katz created the costumes and wooden silhouettes of men, women, and horses to represent the British and American forces for George Washington Crossing the Delaware. Among other plays that have been staged off- and off-off-Broadway, The Red Robins had celebrated productions with sets by Roy Lichtenstein, Jane Freilicher, Red Grooms, Alex Katz, Katherine Koch, Rory McEwen, and Vanessa James. The Construction of Boston was first performed as a collaborative play starring the three artists involvedRobert Rauschenberg bringing weather to Boston through a rain machine he constructed; Niki de Saint Phalle bringing art by shooting a plaster Venus de Milo statue with a rifle so it bled paint of different colors; and Jean Tingley bringing architecture by constructing a seven-foot wall on the stage. The production was directed by Merce Cunningham. This play became another collaboration when Scott Wheeler turned it into an opera. Opera was one of Kochs favorite art forms. He said he thought the perfect job for him would be as a court librettist responsible for creating at least three opera libretti a year. Some of Kochs other plays were set as operas, such as The Gold Standard (also set by Wheeler) and Départ Malgache set by Roger Trefousse. In addition, Koch wrote libretti for particular composers to set: Bertha for Ned Rorem, A Change of Hearts for David Hollister, and two for music by Kochs Italian friend Marcello Panni, The Banquet: Talking about Love and Garibaldi en Sicile. In addition to opera, individual songs were created from his poems or poem cycles. Virgil Thomson set Collected Poems, a series of 39 one-line poems that Thomson later arranged for vocal duet and chamber orchestra, and four poems under Thomsons title Mostly about Love. Ned Rorem set those same four poems and many other poems by Koch, including To the Unknown. Other song collaborations include William Bolcoms setting of Kochs To My Old Addresses and two song cycles by Mason Bates, In Bed and Songs from the Plays. Movies with Rudy Burckhardt and Keith Cohen round out Kochs collaborations. Many pieces in Kochs One Thousand Avant-Garde Plays are produced around the world. When Karen Culler, a pianist and education consultant Koch had met in 1977, moved in with him in 1989, a sort of relaxation came over him. They married five years later, and until he died (July 6, 2002) Karen was to remain his wife, friend, astute fan, and energetic traveling companion on trips to Europe, Africa, Asia, South America, and Antarctica. For decades Koch had been idolized by young poets, but in his later years critical esteem for his work finally came to the fore, with public praise from writers such as Frank Kermode, John Gardner, Thomas M. Disch, James Salter, David Lehman, Reed Whittemore, Stephen Spender, Aram Saroyan, Robert Coles, John Hollander, Gary Lenhart, Ken Tucker, John Ashbery, Jonathan Lethem, and Charles Simic. Volumes of his poetry appeared in French, German, Italian, Portuguese, Greek, Swedish, and Danish translation. 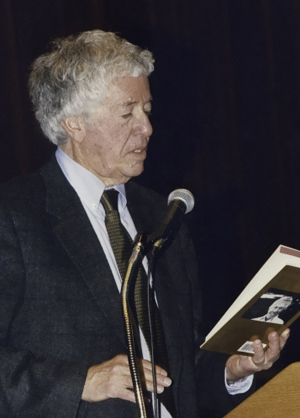 Koch was elected to the American Academy of Arts and Letters and won the Bollingen Prize, the Bobbitt Library of Congress Prize, the Shelley Award for Poetry, and the Phi Beta Kappa Award for Poetry. He was also a finalist for the National Book Award and the Pulitzer Prize. The French government made him a Knight in the Order of Arts and Letters. Koch liked getting prizes and awards but he never confused them with greatness. A competitive man with high standards, he spent his life vying happily with his literary heroes past and present.